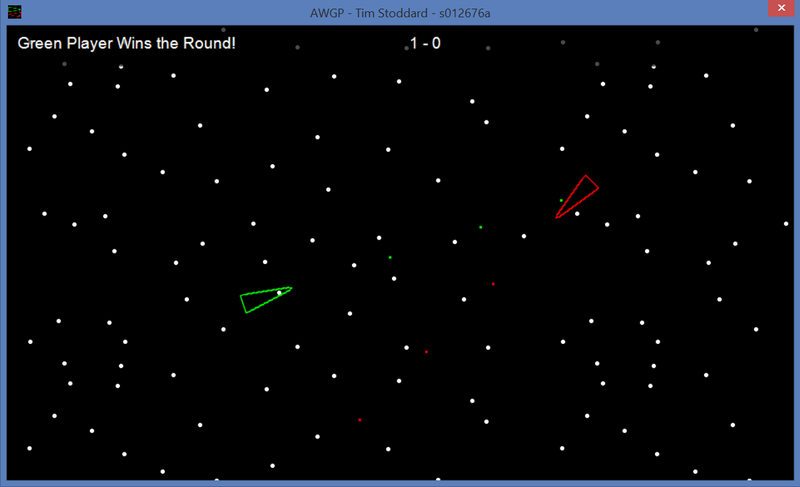 My Advanced Windows Games Programming assignment, SpaceWar was one of four games developed for the assignment with a group made game engine, SwampEngine. The main part of the module was Engine Architecture, so four of us worked on engine specialities while working on the core engine (i.e. entity-component system with behaviours and a XML based scene loader). My speciality was the input, which was done using SlimDX’s DirectInput for Keyboard and Mouse, and XInput for gamepads (Xbox 360/ONE pads only). I also helped out with the Physics and Collision speciality because that component proved to be the most challenging for all of us to deal with.